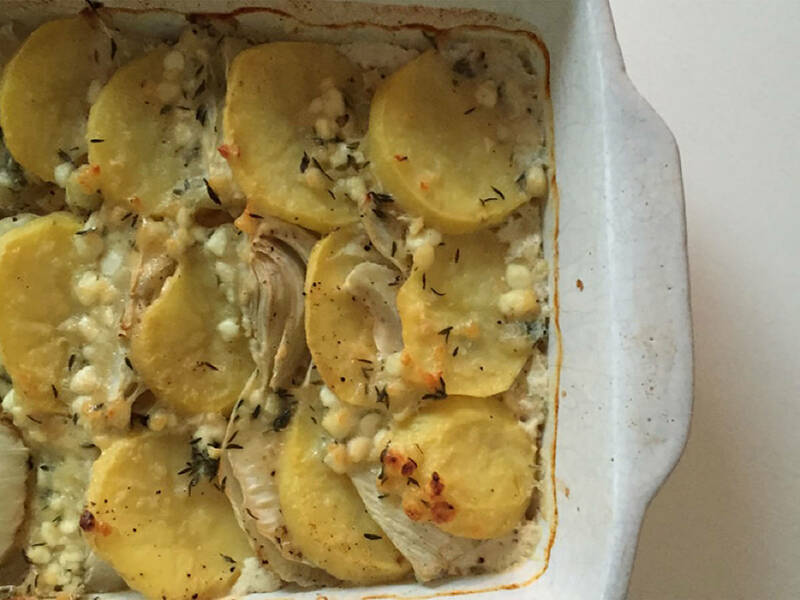 Slice peeled potatoes and fennel thinly and spread out inside the casserole dish. Season with salt and pepper. Chop or press garlic, and add to the milk, nutmeg, thyme. Bring to a boil. Add cottage cheese and Parmesan to the milk mixture, and then pour over the potato-fennel-mixture. Bake for approx. 45 min. at 180°C/350°F.